Sydneysiders, or those ever planning on visiting Sydney with young children, we have discovered an amazing place that you simply must place on your ‘to do’ list. More than simply a kid-friendly cafe, this place will exceed all your child-friendly eating out expectations. 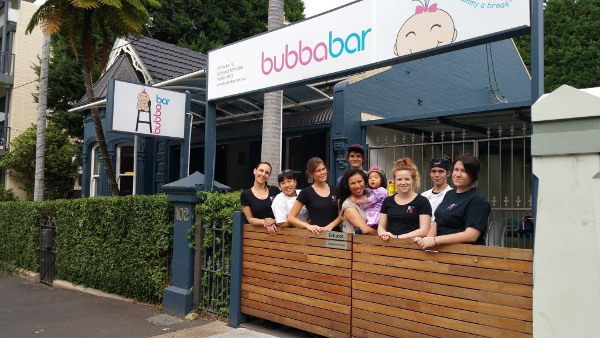 BubbaBar is the invention of ‘Chief Executive Mummy’ Natalie Yuen. 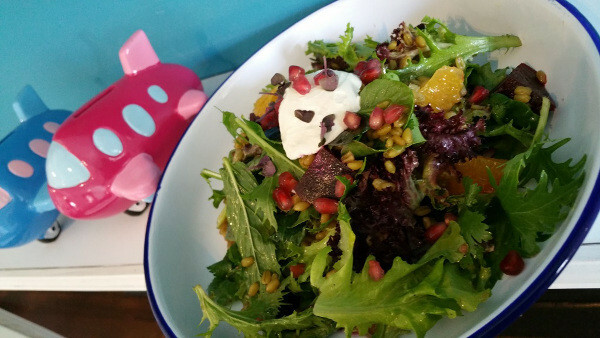 Seeing the need for a place where mothers’ groups could meet up, drink good coffee and have something healthy and delicious to eat, all the while having enough room for prams and enough to entertain toddlers, she set up BubbaBar in the Inner West suburb of Leichhardt. Designed to ‘give mummies a break’ BubbaBar really is a genius idea. Firstly, the food served here is fresh, healthy and tasty. Far from the usual kids fare of nuggets and chips, BubbaBar offers a menu of inspiring healthy options for kids from 4 months old! Their onsite kitchen cooks up all manner of tasty meals, from the most simple purees for babies just starting out on solids (these come in a reusable squeezy pouch that you can take home and use for your own purees) to mini buckwheat pancakes and mini beef meatballs with zucchini ‘noodles’. BubbaBar serve a great range of gluten, dairy, egg, nut and soy free foods for both adults and kids – I can highly recommend the polenta chips, and so can my one-year-old, despite said chips being firmly on the ‘grown-ups’ menu. What makes BubbaBar stand out from the cafe-pack though, is that it is especially designed for parents with young children. They have a unique booking system where you book a dining ‘session’, either brunch/morning tea from 9-11, lunch from 11-2 or afternoon tea from 2-4. 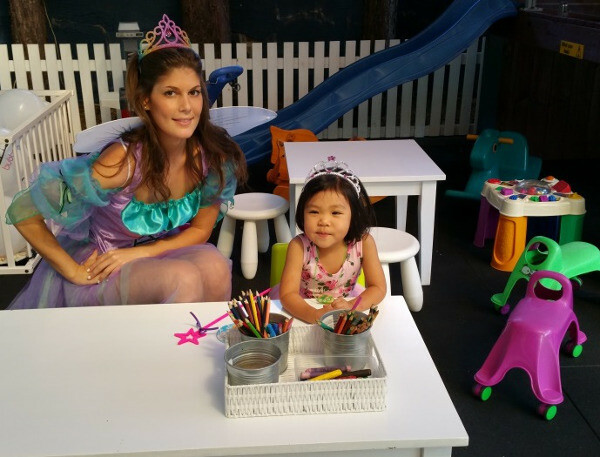 While there is a minimum spend for each session, ensuring the facilities remain immaculate ($10 for morning and afternoon tea, and $15 for lunch), there is an included activity class for toddlers and preschoolers that is run by BubbaBar’s resident Fairy/Superhero, giving you the chance to drink your coffee, or wine (yes, they are licensed! ), in peace. 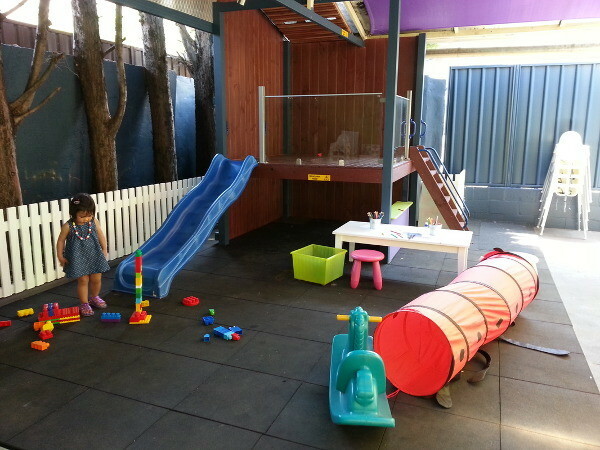 The BubbaBar facilities include a large, covered courtyard (with fans and outdoor heaters) with play equipment, a bathroom with change facilities and a toddler-sized toilet, comfortable lounges, a baby-only play space, a reading nook and plenty of small tables with kids’ art supplies. There is also abundant room for prams and a double-gate to prevent children running onto busy Norton Street. Bookings for the sessions can be made online, so grab your mummy-friends and organise a play date!